Melinda-Catherine Gross is a whole lot more than some kid at camp; she’s Denver’s very own Batgirl. 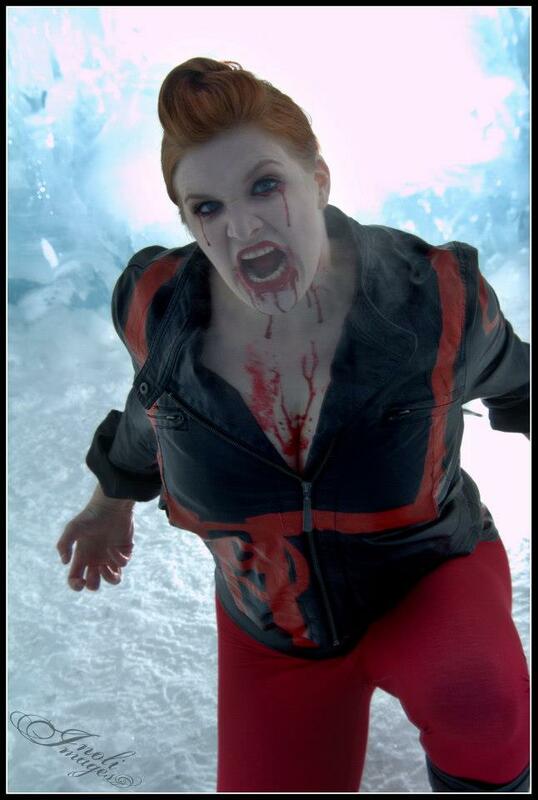 We recently became acquainted with Melinda-Catherine Gross as a contestant on USA Network’s reality series, Summer Camp. First off, if you haven’t heard her interview, you should check it out here. After our interview I actually have gotten the opportunity to know a little bit about Melinda, and that on the weekends and at conventions you can usually catch her cosplaying as Batgirl. 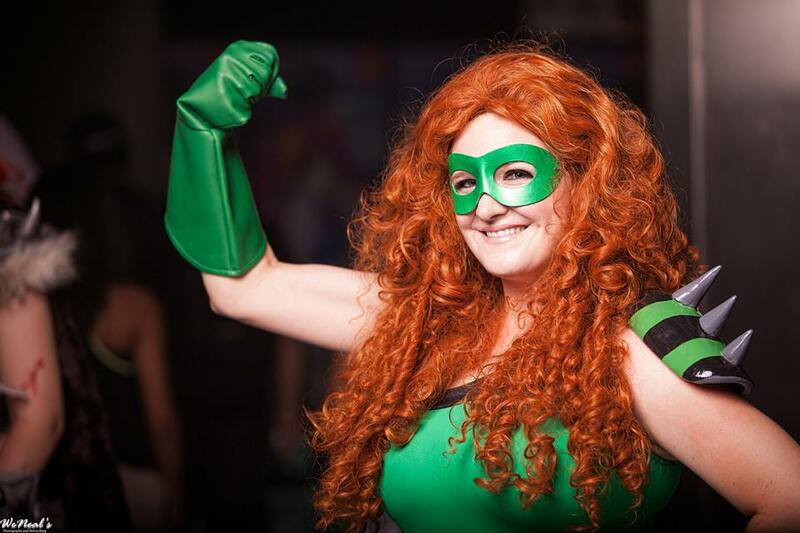 Cosplay is a huge part of Melinda’s life, and the geek community at large. Here are her truths about cosplay. 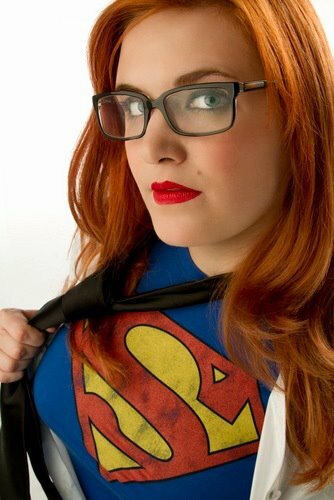 My name is Melinda and I’m a not-so-mild mannered nerd with glasses. But I am also a Superhero. Melinda is just my secret identity. 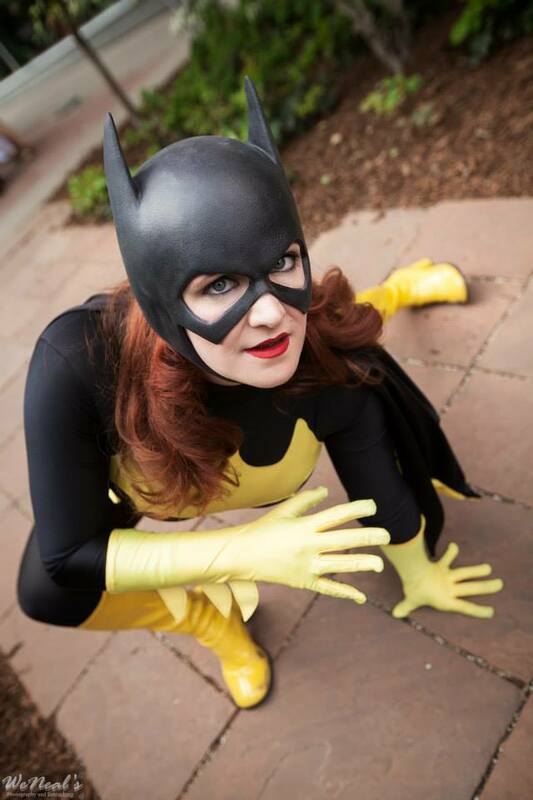 On the Internet I am known as Watchtower and on the convention scene I am sometimes referred to as the Denver Batgirl. No, I am not a crazy person. I am a cosplayer. I love my hobby. Cosplay is what I do. It is a huge part of who I am. Does this make me weird? I don’t think so. I hold a normal job, I have lovely, sociable friends and I live in my own apartment. And sometimes on the weekends I put on my spandex and my cowl and go out into the world to share the passion that I have for characters that I love. As a huge geek, I am thrilled to see so many people showing interest in cosplay as it becomes more and more popular. Suddenly cosplayers are being featured in blogs, magazines and even on TV! But popularity is a double-edged sword. As the attention for something grows there comes the sense of commercial misrepresentation. I am not an expert or a celebrity of costuming. At most I am a panelist from time to time at conventions. However I am a member of this community and this is something that I love. There is so much information floating around out there, I see a lot of people expressing hesitancy to even start to pursue this fantastic hobby. Whatever out there you may have heard, here is what I have found to be the three fundamental truths of cosplay. 1. We all start somewhere! Never be scared to start costuming. I will be the first to admit that when you type the word “cosplay” into Google it can seem pretty intimidating. Heck, even looking at a sewing machine used to send me into mild panic. But hey, we all start somewhere! When I was 18 years old I decided that I wanted to go to my first comic book convention dressed as my favorite Teen Titan, Wonder Girl (Cassie Sandsmark). I had been in the Internet, researching the San Diego Comic Convention and I had seen people working hard all year round, building their own costumes and bringing them to the convention to share of their love the characters. That sounded absolutely amazing to me. So there I was in the basement of my home, painting stars on an old pair of jeans, cutting up a red tee shirt into a tank top and gluing tin foil on to the front of it. It was by no means a masterpiece, but it was mine and I loved it. There is so much pride to be taken in something that you have made for yourself, regardless of presumed quality. No one is born knowing how to cosplay. And as community has blossomed there are tons of awesome tutorials on the Internet now! My best friend learned how to use her sewing machine by watching YouTube videos and she in turn showed me how to use mine! Also, there is no shame in wearing a costume that you have bought at a store or commissioned from someone. If you are excited about being in a costume, then that is amazing! The name of the game is costume play; as in you just want to play in a costume. So go for it! 2. Cosplayers come in ALL shapes, sizes, genders and colors. I cannot stress this enough. One of the biggest things I constantly hear from people about costuming is “I’m not tall/short enough, I’m too fat, I need abs for that costume, I’m not the right ethnicity to be that character”. Do what you are comfortable with but there is no wrong shape, size, or color because ultimately this is something you want to do for fun. You are taking the time and the effort to represent a character that you love. However you look or however you want to look to feel comfortable in a costume is entirely up to you. Three and a half years ago I was 235lbs and decided that I wanted to make a change in my lifestyle for the sake of my health. I used cosplay as a goal to strive towards in my weight loss process. Did I have to do this? No. Did I wear spandex when I was heavier? Yes. When I first got into cosplay, one of my favorite photos that I found was of an older, slightly heavier set man dressed up as Xena: Warrior Princess, that was an inspiration for me. But it was something I wanted to do. Now I am 145lbs, a proud size 8 and I feel happy about my health. I certainly owe that to the goals I set, but my choice is not for everyone. Some of the most beautiful and talented cosplayers I know are larger framed individuals. Some of the best Wolverines I know are tall and the best Big Bardas, short. My favorite Wonder Woman cosplayer is black. Do what makes you comfortable, but never feel hindered by who you are and how you look. 3. People can be terrible, but people can also be wonderful. As much as I find positivity associated with cosplay, there is a darker corner of the hobby. There can be some really terrible people out there and for some, cosplay is a chance to ogle and demoralize others. I have been told that I’m fat and I should kill myself. I’ve been called an ugly dyke for doing female versions of male characters. On the other side of this buffet of humanity, I have also been propositioned in some really sexually disgusting ways, both on the web and in person at conventions. There seems to be no sense any of it. And that’s just it; there is no sense to it. Now elephants are grey, but not all grey things are elephants. This is not everyone’s experience, but it is more common than I want to admit. Cosplay does NOT equal consent and it is not an excuse for people to be nasty. But it does happen. However for every loudmouthed jerk out there you can find five good-hearted people. I’ve met some of the best friends I have ever known pursuing this hobby. Sure, some people are competitive, some people are all about screen accuracy and some want to be the first to premiere certain characters and that can make us get a bit crazy at times. Everyone gets something different out of why they choose to cosplay. But at heart we’re good people. A lot of cosplayers do charity work, going to hospitals to visit sick kids dressed up as their favorite heroes and princesses. We help to promote anti bullying campaigns and we attend Pride Rallies in costume. We support each other on the Internet when the words of others can be cruel, even if we don’t know you personally. For many cosplayers, it’s more than just a community. We are family. And our family is thick as thieves. It is important to know that there are cruel people out there who are nasty to those who have embraced this hobby. But it is so much more important to remember that there is also love and kindness and acceptance, which out-weighs that hate. Don’t let the bad discourage you because the good is so beautiful. It would be a shame to miss out. So this is who I am. This is what I do. I look forward to conventions all year round while preparing my newest creations, it is something I do with my friends and it is something I use to promote a healthy community outside of geek culture. Cosplay has brought such joy to my life. I can’t imagine being held back from it, and neither should you. 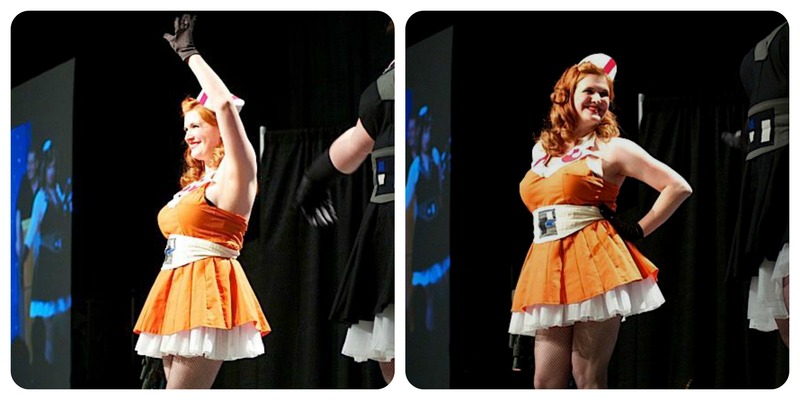 These points are not rules or regulations but they are in my mind, three truths of cosplay. I hope that you, the potential costumer, find them helpful as you think about diving in to this hobby. And remember, above all it is all about having fun. Don’t let anyone deny you that. Be excited, be yourself, be proud of what you do and what you love! That, I suppose, is the ultimate truth about cosplay. Have you listened to the latest episode of the JustUs Geeks Podcast? JustUs Geeks Retro Game of the Week! Melinda-Catherine Gross liked this on Facebook.